Curing concrete happens between the time of brooming the concrete (done during the concrete finishing stage) and when it reaches full strength. This process is also known as hydration. There are some things you can do to speed up or slow down the curing process. In ideal conditions for pouring concrete, the temperature will be between 50 and 75 degrees Fahrenheit. After the pour, you may walk on your concrete after 24 hours. It will take between 7 and 14 days before you may drive or put heavy items on concrete that is 4 inches or more thick. The concrete will cure to full strength after 28 days. Temperatures below 50 degrees - If you decide to pour your concrete in temperatures below 50 degrees Fahrenheit, you will need to add calcium chloride to the concrete mix. By adding this to the concrete mix during the pouring process, it will speed up the curing time because it is an accelerator. If the temperature is below 40 degrees Fahrenheit, you may want to use concrete blankets or hay/straw. Spread either of these cold insulators evenly over the concrete after you have broom-finished it. Keep the insulators on the concrete for 5-7 days. When you remove them, do it during the day hours when sunlight can be shining on the concrete. You do not want to "shock" the concrete by pulling the insulators off during a colder time of the day. Temperatures above 75 degrees - It is important to slow down the curing process when it is hot out because the water can evaporate too quickly from the concrete and cause cracking. After you broom-finish the concrete, wait one hour or until you can walk on the slab without damaging the surface. At this point, you may use a sprinkler, soaking hose, or wet burlap (this is like placing a wet blanket on the concrete) to help slow down the curing process. You may also use a curing compound to trap the moisture in. This will slow the hydration process down. You can purchase these compounds in gallon jugs at a home improvement store. Pour the compound into a spray can (the type used for lawn fertilizers). The directions on the back of the compound will dictate how much to use. The final step to creating a concrete patio is to seal the concrete. 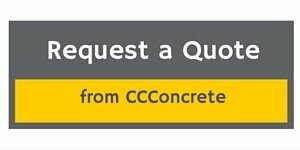 If you live in the Minneapolis and surrounding suburbs area, and would like a bid on your concrete project, request a quote.